Located less than 10 minutes from the UNESCO world heritage city of Saint-Emilion, 45 minutes from the city of Bordeaux, and in the very heart of one of the most famous wine regions. The family friendly house has 5 bedrooms, 3 bathrooms, heated infinty edge pool, dazzling views, outdoor dining terraces and peaceful gardens. Rainier du Chais is a stunning villa on magnificent grounds. 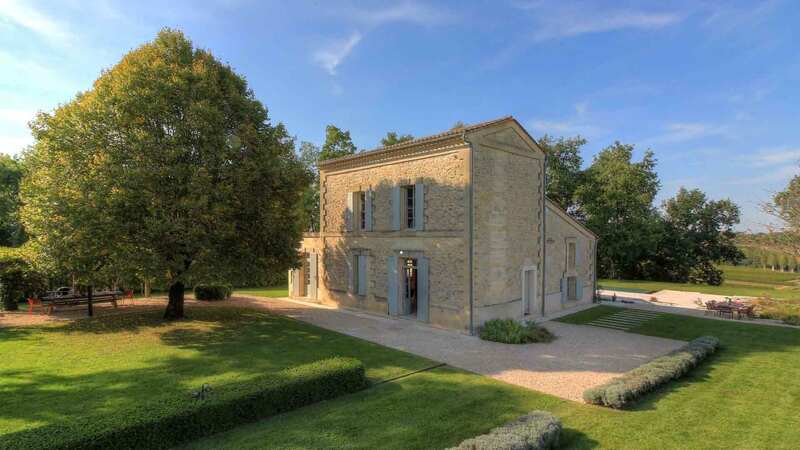 Located 10 minutes from the heart of Saint-Emilion and 45 minutes from Bordeaux, the villa is an ideal base from which to discover the local wine region or just relax by the pool.